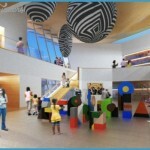 SAM is recognised for many things that differentiate it from its colleagues and other regional galleries. It has a unique collection focus, holding one of Australia’s leading collections of Australian ceramics in regional Australia. It is also recognised for the way it engages, excites and inspires audiences young and old and from near and far, with a dynamic program of exhibitions and educational and public programs conceived to have a strong local relevance, while engaging with global and contemporary ideas. 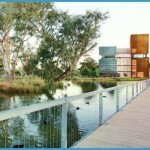 Shepparton’s community is unique, and it is in part what makes the art museum’s role special. 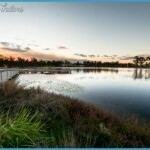 Located on the traditional lands of the Yorta Yorta Nation, Shepparton is home to the second most populous Indigenous language group in Australia, and the largest Aboriginal community outside Victoria’s capital city. The community has a strong history of Indigenous advocacy and leadership, both nationally and internationally. An estimated 4% of residents have Indigenous heritage, and approximately 19% of residents were born outside Australia. Shepparton is also known for its diverse, multicultural population. Waves of migration from the 1930s onwards have resulted in a strong, culturally rich community. In the aftermath of World War I, migrants came mainly from Southern Europe, predominantly Greece, Italy, Macedonia and Albania. After World War II, further migration occurred from Europe with many Turkish immigrants settling in the region. In the late 1980s Punjabi Indians and Pacific Islanders began to arrive. In the 1990s Greater Shepparton welcomed Afghani, Iraqi, Sudanese and Congolese populations. SAM works to develop strong ties with these communities, creating exhibitions, programs, a Collection, and educational opportunities that have meaning and value for many. In 2016, the Collection marked its Eightieth anniversary. Established in 1936, it was not until 1965 that a dedicated gallery was opened, largely through the drive and vision of the Council town clerk at the time. Sir John Longsta? , one of Australia’s leading portrait painters of the day, was asked for his advice on which artworks to acquire. He recommended the work of leading contemporary artists. Early paintings featured landscapes, still-lives, and portraits. Notable historic paintings included artists from the Heidelberg School, including Frederick McCubbin and Arthur Streeton, Eugene von Guerard, Rupert Bunny, William Frater, Arthur Streeton, Normal Lindsay, Max Meldrum, William Ashton, and Nora Gurdon and Ethel Carrick Fox amongst the very few women artists. Australian women modernists also feature notably in the Collection, with important works by Margaret Preston, Grace Cossington Smith, Thea Proctor, Clarice Beckett and Marguerite Mahood. The first formal director was appointed in the early 1970s, and the decision to focus on the acquisition of recent Australian prints, ceramics and fabre was made. Given the a? ordability of these works and genre, this was a pragmatic decision. The Collection continued to grow, with a sustained focus on ceramics as a point of regional di? erence. This is when SAM began to be recognised for its notable collection of Australian ceramics, ranging from early historic pieces from first European settlement, to contemporary Australian artists working in – and expanding – our understanding of the ceramics medium today. The Collection includes objects made by the ? st convict potters, and a large collection of domestic and decorative ceramics made by early commercial potteries in Australia, including Bendigo Pottery, Lithgow Pottery, Ho? man Brick Company and Premier Pottery. Ceramics by Merric Boyd, one of Australia’s earliest studio potters, are strongly represented along with pottery, paintings and works on paper by artists associated with the Arthur Merric Boyd Pottery at Murrumbeena, including John Perceval, Arthur Boyd and Mary Boyd. Works by leading contemporary artists working in ceramic also feature, including works by Gwyn Hanssen-Pigott, Stephen Benwell, and Deborah Halpern. The Collection also includes works by contemporary artists extending our understanding of the ceramics medium, including Aleks Danko, Penny Byrne, Renee So, Brendan Huntley, Ramesh Mario Nithiyendran, Jenny Orchard and Glenn Barkley. Important Aboriginal and Torres Strait Island ceramics are represented, including work by the late Thancoupie Gloria Fletcher AO, Bagot Ware, Ernabella artist, the Hermannsburg Potters, and artists Janet Fieldhouse and Danie Mellor. SAM’s major acquisitive prizes, the Sidney Myer Australian Ceramic Award and the Indigenous Ceramic Art Award have both been singular in supporting contemporary artists working in ceramics, and in developing the Collection’s strength in this medium. SAM supports contemporary artists working in ceramics through a series of SHOWCASE exhibitions, each featuring the work of leading ceramicists with a commercial practice that extends their museum work. Recent Showcase exhibitions in collaboration with Melbourne-based craft shop, Mr Kitly, include work by Bridget Bodenham, Leah Lackson and Kirsten Perry, all of which is available for sale through the SAM Shop. Ambition and innovation have always been the mark of the Shepparton Gallery. In 2012, at the same time that the gallery spaces were renovated, the Gallery was rebranded and changed its name to Shepparton Art Museum. While still located in the Council buildings that housed the gallery spaces and collection, these changes signalled the institution’s ambition to be taken seriously alongside some of its older Gold rush regional peers. Lighting, temperature and other essentials were brought up to museum standards. 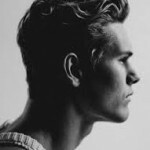 A happy sideeffect was its shift from SAG to SAM. In 2012, SAM was awarded the best Victorian small art museum by Museums Australia (Victoria). Over the last ten years, SAM developed two further Collection strengths: a growing collection of Australian contemporary art and artists, and an important Collection of Indigenous art through two substantial Cultural Gifts featuring artworks by artists of Aboriginal, Tiwi and/or Torres Strait Islander descent. As SAM’s Collection continues to develop through acquisition and gift, the Museum is able to support and showcase work by local Yorta Yorta artists and artists from South-East Australia, presenting their work within a national perspective. The Collection is presented through a series of exhibitions presented in new and contemporary ways, with work by leading Australian artists and their international peers, both modern and contemporary. These exhibitions enable a contemporary rethinking of the Collection through the eyes of contemporary artists and ideas. This enables us to continue to rethink past histories and collectively think about possible shared futures. SAM’s exhibition Eighty Years of SAM. The Collection, (on until February 2018) examines such ideas, while showcasing some of the highlights of the SAM Collection. Supported by a major new publication, exhibition and book feature eighty works selected for the eighty years since SAM was established. Three central themes emerge, speaking to who we are, and where we are located: place, identity and ceramics. Place and identity respond to Shepparton’s particular context in the world, and ceramic works that draw on a strength that makes the collection unique. These themes are inherently open to the viewer’s interpretation, encouraging visitor engagement with the collection. Frederick McCubbin’s The Wood Sawyer (1905) contrasts with more contemporary views of early pioneers, such as in Dead as a Door Nail (2009) by Christian Thompson, a Bidjara man of Aboriginal and Scottish heritage, or Stephen Bush’s rethinking of colonial histories. Early portraits by Rupert Bunny, Nora Gurdon, Sir John Longstaff and other colonial masters are installed in a salon-hang style, facing a series of portraits by contemporary Indigenous artists including Tony Alberts, Brook Andrew, Fiona Foley, and Leah King-Smith. Sam Jinks’ Woman and Child (2010) remains one of the most popular hyper-realist depictions of youth and age, and is included in the Eighty Years exhibition. The drawing wall series is an ongoing series of commissioned, temporary, site-specific wall based drawings, paintings, photographic paste-ups or installations that enliven the flyer space of the Eastbank Centre. Presented directly outside SAM, they overlook the adjoining performing arts centre, Riverlinks. These four annual projects often revolve around conversations and collaborations, and provide members of the public with an opportunity to interact with the artists during installation. Recent highlights include drawing wall commissions by Reko Renni, Simone Slee, Darren Wardell, Elizabeth Gower, and James Tylor. Exhibitions are consistently designed to have a strong local connection, while engaging with issues that are pertinent globally. Recent exhibitions include the first major survey show by NELL (October 2016), a contemporary Australian artist who grew up in another small town regional centre in Maitland NSW. Her passion for Buddhism and Australian rock icons AC/DC is reflected in an instantly recognisable style that fuses religious iconography with rock ‘n’ roll aesthetics. Tracey Moffatt & Gary Hillberg’s Montages: The Full Cut presented in January – February 2017, showcased eight montage films by the leading contemporary artists reflecting on cinema and the cinematic form, Hollywood traditions, at the same time invented new fictions, rethinking notions of love, art, revolution and destruction. Both exhibitions had strong connections with regional centres and the unique Shepparton communities, while showcasing the work of leading contemporary artists engaging with global themes. Concerns around the environment and sustainability are also themes and ideas explored through exhibitions and public programs, both central to our region. In April 2017, SAM presented FRESHWATER, an exhibition that considered how water reflects ecological, cultural, political and economic realities. Through the work of over 20 Australian artists and artist collectives, alongside historic works drawn from the SAM Collection, Freshwater highlighted how water remains central to identity, and to how and where we live in regional Victoria. For FRESHWATER, the education department developed an education program which pulled from the key themes in the exhibition and delivered it to different schools in the area, and in professional development workshops with teachers. Partnering with others working in this area, such as Shepparton’s River Connect, these programs enabled teachers to take their learnings back to their schools, working with students. Another upcoming public program takes visitors on a bike riding tour around the Goulburn River with artist, James Tylor. This program has been developed in tandem with the NGA touring show, Resolution: new Indigenous photomedia, being presented at SAM from 25 August – 29 October this year. Our audiences are key to the success of our exhibitions: SAM’s ambition to create safe and inspiring places that engage, excite, inspire and involve local communities and broader Victorian, Australian and international visitors alike through art and culture. Like sport, and other community activities, art and culture is vital to creating a rich, culturally confident and diverse place to live and work. SAM’s work with our schools and community partners enables us to start this at an early age, through educational initiatives including School Holiday programs, or the SAM Scholars Program, an after-school program supporting local VCE art students in Greater Shepparton to work with artists, arts professionals, the Collection, and learn that the arts and cultural sector is a viable career option in regional Australia. Our public programs work directly with our rich and diverse multi-cultural community, as well as designing programs for specific audience groups. Our recent SAM Out Late! program saw members of the LGBTQI community, as well as others, join in a new form of speed dating over pinch pots and clay. This program was developed in partnership with Goulburn Valley Pride, and organisation that SAM will continue to work with. 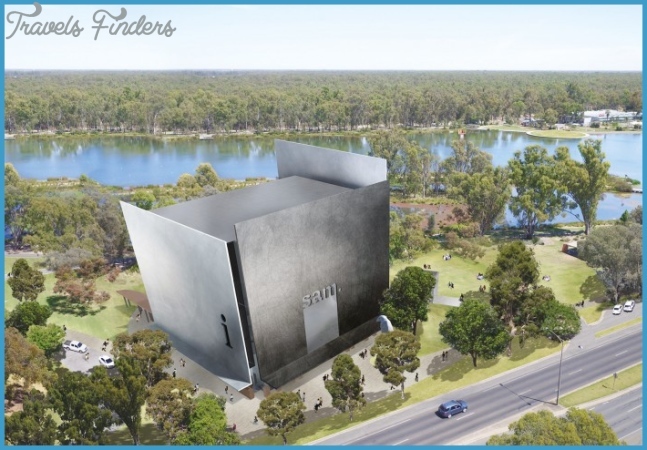 Shepparton Art Museum (SAM) is moving towards the next exciting period in its long and fascinating history, with the commissioning and first steps toward a new building and exhibition experience. 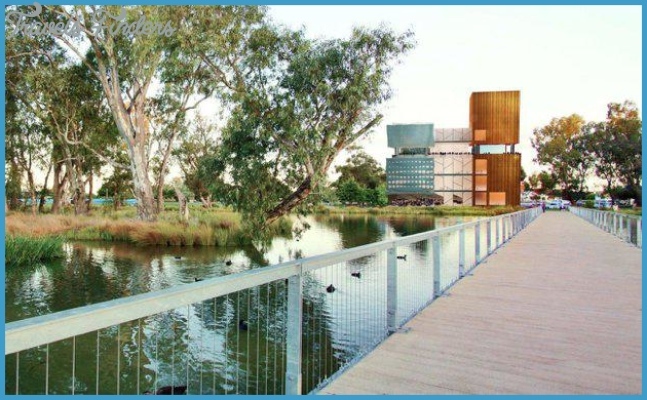 In May 2018, Greater Shepparton City Council took the step of endorsing the Business Case towards a new SAM, beginning the journey towards this new and visionary project. Since then, progress has been swift. Funding has been secured for the $34.5M project – Council has committed to borrowing $10M, $10M has been secured from both the State and Federal Governments, and the SAM Foundation has committed to raising $4.5M in philanthropic and private support for the project, and a further $8M towards an endowment. SAM is currently run and operated by Greater Shepparton City Council. Part of the new vision for SAM is that it will shift its governance status to company limited by guarantee, while retaining strong links with Greater Shepparton Council, who will continue to fund a large portion of its annual budget. An Architectural Competition endorsed by the Australian Institute of Architects, was run in order to select the architect. From a field of 88 Expressions of Interest, five architectural firms were shortlisted and invited to submit Concept Designs. Each offered visionary and exciting proposals for what the new Museum could be to Shepparton, and as one of Victoria’s leading contemporary cultural destinations. The Jury recommended Denton Corker Marshall (DCM) as winners of the Competition, endorsed by Council at the April 2017 Council Meeting. DCM’s Concept response was to create a building with a small footprint, given its location on a floodplain, next to natural water, and within existing parkland. Appearing as a beacon in the landscape, its monumentality, materiality and sculptural form is reminiscent of the land art of American Post-Minimalist artists including Richard Serra. 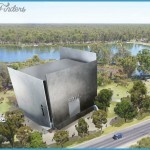 The building not only offers a new home for the Shepparton Art Museum, but will also house the Visitor Information Centre, and Kaiela Arts, Shepparton’s Aboriginal community arts centre. As such, the building was conceived in the round: each façade represents a specific purpose and function, without a traditional ‘front’ and a ‘back’. The design is also climatically responsive with passive design features including canopied verandas on all four facades, which are a contemporary interpretation of the street verandas that characterise regional and country towns in Australia. Their size and extent respond to use and orientation. 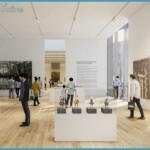 Discrete windows at the corners of buildings reduce natural light, important to a museum’s function, whilst also offering audiences an opportunity for respite and to avoid gallery fatigue. 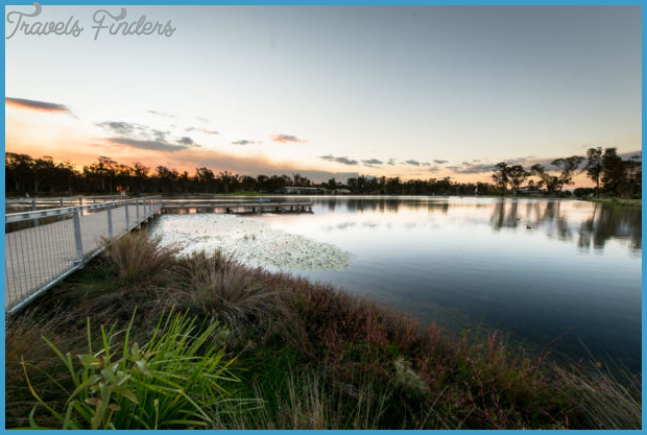 Located next to a body of water, the new SAM and its surrounding parklands will continue to offer important community amenities for visitors and locals. Other exciting design features presented by DCM at Concept Design stage included the creation of an Art Hill, which linked the café to the surrounding landscape, and cleverly hid all of the services away from the public. This feature activated the space surrounding the gallery, and offered a space to relax and possibly even view projections and art on the exterior façade of the new SAM. Other features included a range of workshops and meeting rooms; a Community Gallery – an important aspect of engaging the local community in the museum’s activities; display areas throughout the fabric of the building that lend themselves to presenting one of our Collection highlights – ceramics – throughout the building; storage that was elevated from the risk of flooding; and a rooftop auditorium and bar that could be used for corporate events and entertaining. Importantly, there was significant consultation in the development of the Concept Design: DCM’s building presented a vision that integrated purpose with environment, developed in consultation with environmental experts and local indigenous peoples, whose knowledge of the land lends to the development of a world class, environmentally sustainable building in a local context. 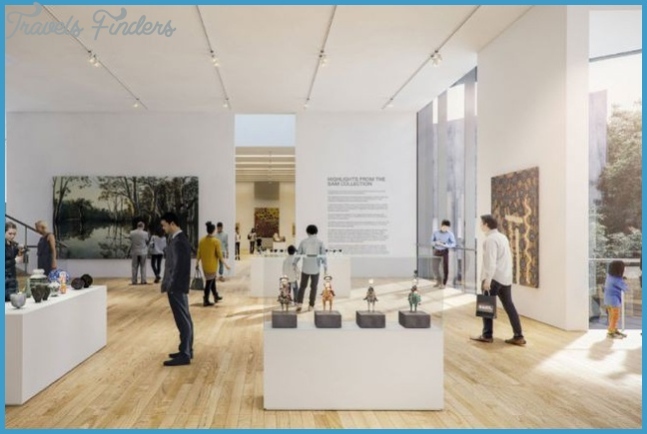 As we work towards an ambitious and exciting new building with specific functions and needs, working within a fixed budget and related constraints, the new SAM takes on a new and exciting role as an art museum, and significant civic building and space. 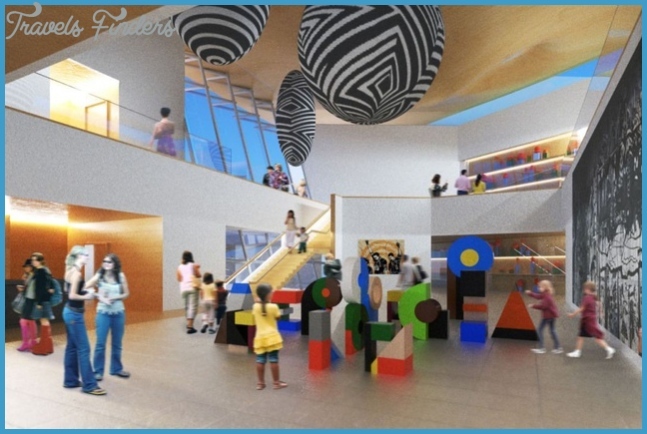 The new SAM has the potential to become a building that brings people together, to enjoy art, to meet and relax with friends, as a place to work, or a place to visit. This is the next step in the exciting life of a regional art museum, with a unique collection focus and remit to audiences near and far. Artists, audiences, exhibitions, our unique collection and context are core.